And now…the esteeemed Tony Awards nominating committee has made its’ final determinations as to categories. Just to be clear, these are simply guidelines to allow the Tony Voters to know who is going to go into which category SHOULD they be lucky enough to be considered for an Award. I would also like to point out that Dame Hilary Mantel has SUDDENLY popped up as co-author of “Wolf Hall Pts. 1&2” which the Drama Desk who didn’t nominate her at all or “Wolf Hall” for Best Play, or the Outer Critics Circle, which did, did not mention her as co-author here-to-fore, nor is she listed that way in the program. But what this new categorization does is almost makes it certain that “Wolf Hall” will win Best Play. There’s nothing like a Dame. Ask Dame Helen Mirren who is sure to win Best Actress in a Play for “The Audience” AGAIN playing the current Queen of England. New York, NY (April 24, 2015) – The Tony Awards Administration Committee met today for the final time this season to determine the eligibility of 18 Broadway productions for the 2015 American Theatre Wing’s Tony Awards®, presented by The Broadway League and the American Theatre Wing. The Tony Awards Administration Committee has met a total of four times throughout the 2014-2015 season to decide the eligibility for the 69th Annual Tony Awards. The 18 productions discussed were Fish in the Dark, The Audience, On the Twentieth Century, The Heidi Chronicles, Skylight, Hand to God, Gigi, Wolf Hall Parts One & Two, An American in Paris, It Shoulda Been You, Finding Neverland, The King and I, Fun Home, Living on Love, Doctor Zhivago, Something Rotten!, Airline Highway and The Visit. Andy Karl, Mark Linn-Baker and Michael McGrath will be considered eligible in the Best Actor in a Featured Role in a Musical category for their respective performances in On the Twentieth Century. Jason Biggs and Bryce Pinkham will be considered eligible in the Best Actor in a Featured Role in a Play category for their respective performances in The Heidi Chronicles. Steven Boyer and Geneva Carr will be considered eligible in the Best Actor/Actress in a Leading Role in a Play categories for their respective performances in Hand to God. Victoria Clark, Dee Hoty and Howard McGillin will be considered eligible in the Best Actor/Actress in a Featured Role in a Musical categories for their respective performances in Gigi. Hilary Mantel and Mike Poulton will be considered co-authors and jointly eligible in the Best Play category for Wolf Hall Parts One & Two. 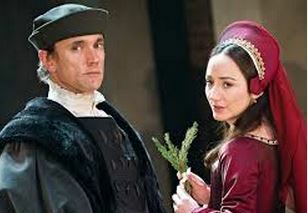 Ben Miles will be considered eligible in the Best Actor in a Leading Role in a Play category for his performance in Wolf Hall Parts One & Two. Paule Constable and David Plater will be considered jointly eligible in the Best Lighting Design of a Play category for Wolf Hall Parts One & Two. Robert Fairchild and Leanne Cope will be considered eligible in the Best Actor/Actress in a Leading Role in a Musical categories for their respective performances in An American in Paris. Bob Crowley and 59 Productions will be considered jointly eligible in the Best Scenic Design of a Musical category for An American in Paris. Christopher Austin, Don Sebesky and Bill Elliott will be considered jointly eligible in the Best Orchestrations category for An American in Paris. Tyne Daly, Harriet Harris and Sierra Boggess will be considered eligible in the Best Actress in a Featured Role in a Musical category for their respective performances in It Shoulda Been You. Matthew Morrison and Laura Michelle Kelly will be considered eligible in the Best Actor/Actress in a Leading Role in a Musical category for their respective performances in Finding Neverland. Kelli O’Hara and Ken Watanabe will be considered eligible in the Best Actor/Actress in a Leading Role in a Musical categories for their respective performances in The King and I.
Christopher Gattelli will be considered eligible in the Best Choreography category for The King and I.
Judy Kuhn will be considered eligible in the Best Actress in a Featured Role in a Musical category for her performance in Fun Home. Beth Malone will be considered eligible in the Best Actress in a Leading Role in a Musical category for her performance in Fun Home. Anna Chlumsky and Jerry O’Connell will be considered eligible in the Best Actor/Actress in a Featured Role in a Play categories for their respective performances in Living on Love. Tam Mutu and Kelli Barrett will be considered eligible in the Best Actor/Actress in a Leading Role in a Musical categories for their respective performances in Doctor Zhivago. Michael Scott-Mitchell and Sean Nieuwenhuis will be considered jointly eligible in the Best Scenic Design of a Musical category for Doctor Zhivago. Brian d’Arcy James and John Cariani will be considered eligible in the Best Actor in a Leading Role in a Musical category for their respective performances in Something Rotten! Bruce Willis and Mary-Louise Parker will announce the 2015 Tony Award Nominations LIVE on Tuesday, April 28th from the Paramount Hotel’s Diamond Horseshoe in New York City. 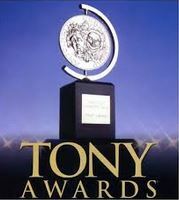 The Tony Award Nominations can be viewed LIVE on “CBS This Morning” and in their entirety, atwww.TonyAwards.com. The 2015 Tony Awards will be broadcast live from Radio City Music Hall in New York City, on Sunday, June 7th, 2015 (8:00 – 11:00 p.m. ET/PT time delay) on the CBS Television Network, live from the Radio City Music Hall in New York City. The Tony Awards, which honors theater professionals for distinguished achievement on Broadway, has been broadcast on CBS since 1978. The Tony Awards are presented by The Broadway League and the American Theatre Wing. A limited number of tickets to the 2015 Tony Awards will be made available to the general public. Tickets will be available at http://www.TonyAwards.com starting on April 28, 2015. For more information on the Tony Awards, visit TonyAwards.com and Facebook.com/TheTonyAwards and follow @TheTonyAwards on Instagram and Twitter. New York, NY (March 19, 2015) – The Tony Awards Administration Committee met today for the third time this season to determine the eligibility of two Broadway productions for the 2015 American Theatre Wing’s Tony Awards®, presented by The Broadway League and the American Theatre Wing. The Tony Awards Administration Committee will meet a total of four times throughout the 2014-2015 season to decide the eligibility for the 69th Annual Tony Awards. The two productions discussed were Constellations and Honeymoon in Vegas. Jake Gyllenhaal and Ruth Wilson will be considered eligible in the Best Performance by an Actor/Actress in a Leading Role in a Play categories for their respective performances in Constellations. Tony Danza will be considered eligible in the Best Performance by a Featured Actor in a Musical category for his performance in Honeymoon in Vegas. The official eligibility cut-off date will be Thursday, April 23, 2015, for all Broadway productions opening in the 2014-2015 season. Productions which meet all other eligibility requirements and open on or before the eligibility date are considered eligible for 2015 Tony Award nominations. 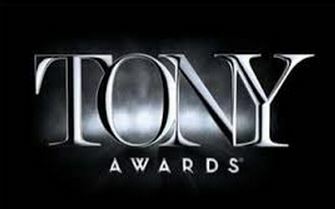 The Nominations for the 2015 Tony Awards will be announced live on Tuesday, April 28, 2015, from New York City. New York, NY (November 13, 2014) – The Tony Awards Administration Committee met today for the first time this season to determine the eligibility of seven Broadway productions for the 2015 American Theatre Wing’s Tony Awards®, presented by The Broadway League and the American Theatre Wing. The Tony Awards Administration Committee will meet a total of four times throughout the 2014-2015 season to decide the eligibility for the 69th Annual Tony Awards. The seven productions discussed include: Holler If Ya Hear Me, This Is Our Youth, Love Letters, You Can’t Take It With You, The Country House, It’s Only a Play and On the Town. Saul Williams will be considered eligible in the Best Performance by an Actor in a Leading Role in a Musical category for Holler If Ya Hear Me. This Is Our Youth will be considered eligible in the Best Revival of a Play category. Tavi Gevinson will be considered eligible in the Best Performance by an Actress in a Featured Role in a Play category for This Is Our Youth. James Earl Jones, Byron Jennings, Patrick Kerr, Fran Kranz, Mark Linn-Baker and Reg Rogers will be considered eligible in the Best Performance by an Actor in a Featured Role in a Play category for You Can’t Take It With You. Rose Byrne, Annaleigh Ashford, Johanna Day, Julie Halston, Kristine Nielsen and Elizabeth Ashley will be considered eligible in the Best Performance by an Actress in a Featured Role in a Play category for You Can’t Take It With You. Blythe Danner will be considered eligible in the Best Performance by an Actress in a Leading Role in a Play category for The Country House. It’s Only a Play will be considered eligible in the Best Revival of a Play category. F. Murray Abraham, Matthew Broderick, Rupert Grint and Micah Stock will be considered eligible in the Best Performance by an Actor in a Featured Role in a Play category for It’s Only a Play. Stockard Channing and Megan Mullally will be considered eligible in the Best Performance by an Actress in a Featured Role in a Play category for It’s Only a Play. Tony Yazbeck will be considered eligible in the Best Performance by an Actor in a Leading Role in a Musical category for On the Town. All other eligibility determinations were consistent with the show’s opening night credits. The 2015 Tony Awards will be broadcast live from Radio City Music Hall in New York City, on Sunday, June 7th, 2015 (8:00 – 11:00 p.m. ET/PT time delay) on the CBS Television Network, live from Radio City Music Hall in New York City. The Tony Awards, which honors theater professionals for distinguished achievement on Broadway, has been broadcast on CBS since 1978. The Tony Awards are presented by The Broadway League and the American Theatre Wing. The 2013 Tony Awards telecast was recently honored with three Primetime Emmy Awards – in the categories of Outstanding Directing for a Variety Special, Outstanding Special Class Program and Outstanding Original Music and Lyrics for “Bigger!”. Visit TonyAwards.com for more information. For up-to-the-minute news follow The Tony Awards on Facebook.com/TheTonyAwards or Twitter.com/TheTonyAwards.